Polar Bear mom and Cub in Brush: Harvey WIldlife Photography; Polar bear mom's and cubs. Picture of a polar bear mom and cub in brush. 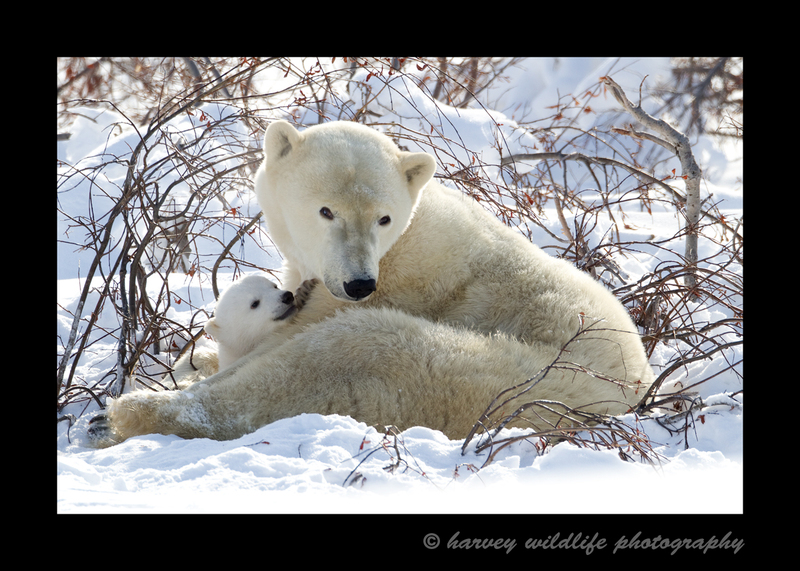 Polar bear photo by Harvey Wildlife Photography.